I'm really tired of racists. 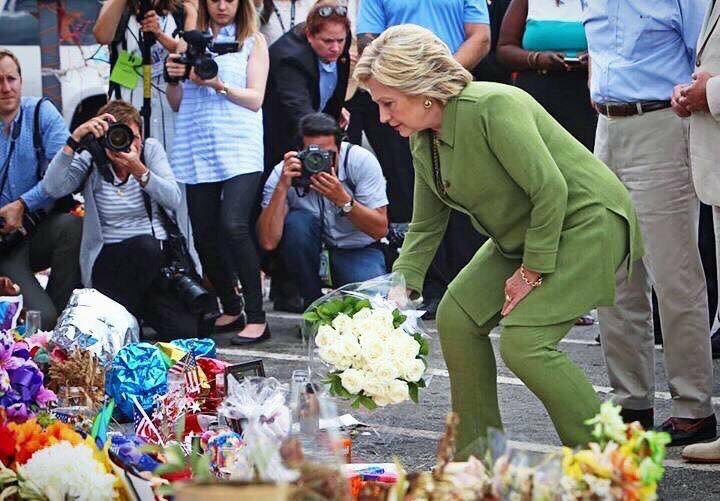 It meant a great deal to me that @HillaryClinton was the only candidate who stopped campaigning and made her way to my old gay neighborhood where we were hurting so deeply and paid respects. Lisa Talmadge does not speak for me. Honky needs to grasp that I ain't Sofia and she ain't Miss Millie. STF up, Lisa. I don't care what you did for White LGBTs decades ago. I don't respect you and I don't like you trying to speak for the LGBT community. But she tries all the time with Tweets about "my gays" -- like she's Kathy Griffin? That's another White woman who needs to back the hell off. Some say her failure to campaign in Wisconsin instead of going to be with us at Pulse lost her the election. I don’t think she regrets that choice. 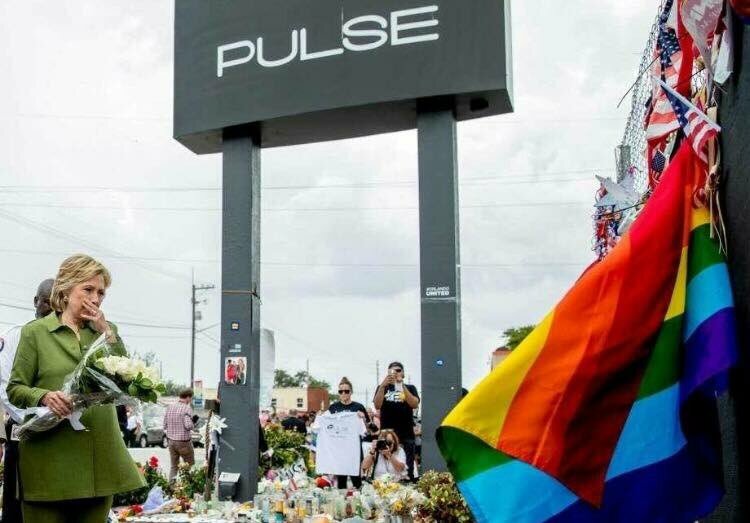 She went to Pulse July 22nd. She wasn't the party's nominee at that time. The convention that named her the party's nominee started July 25, 2016. Nothing stopped her from going to Wisconsin. Lisa Talmadge is using that White girl p**sy to think and it's getting Cracker in big trouble, she's telling lies like the big ol' White ho she is. Stop acting like you speak for LGBTs ("my gays," "us," etc.) because liars don't. Yes, in June Hillary and Barack cancelled a joint appearance in Green Bay, Wisconsin. That doesn't excuse her not going to Wisconsin in August, September or October. That doesn't excuse her refusing to listen to the campaign officials in Wisconsin who repeatedly told her that she needed to be there. Equally true, the political map in Wisconsin from 2013 through 2016 demanded she be there. Stop making excuses for her, Lisa. She's not going to pity f**k you. Take your White self back to your White world and stop trying to speak for the LGBT community. The last thing any of us need is yet another White person appointing themselves leader of a group that includes minorities. Miss Millie, we don't like you one bit. Tuesday, June 12, 2018. Turkey continues to violate Iraq's sovereignty and the May 12th election remains a struggle. Iraqi PM Haider al-Abadi called on Turkey to "respect Iraqi sovereignty" and accused Turkish politicians of raising tensions for domestic purposes. 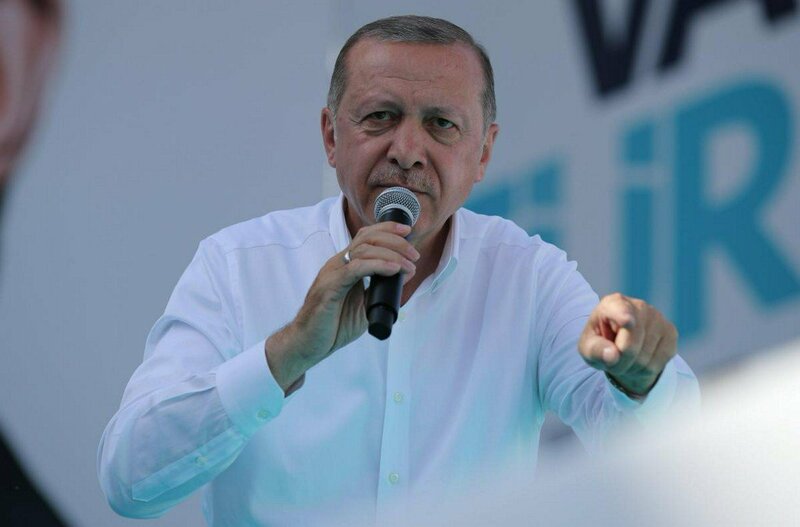 "We will not accept an assault on Iraqi sovereignty even if it is a Turkish electoral campaign," he said. Turkish armed forces have been stationed 30 kilometers inside of northern Iraq as part of its anti-terror operation in the region, Prime Minister Binali Yıldırım said late June 8. “We have been deployed in a 300-kilometer area, in 30 kilometers deep in northern Iraq. Next step could be Qandil, Mahmur or Sinjar. We would like to conduct this operation with neighboring countries. We respect the territorial integrity of Syria or Iraq," Yıldırım said during a live interview on private broadcaster NTV. Erdogan is the president of Turkey, Recep Tayyip Erdogan. And the presidency is part of the reason for the violence. Selcan Hacaoglu (BLOOMBERG NEWS) explains, "Turkey expanded its offensive against Kurdish militants further inside Iraq, raising the specter of a broader conflagration as President Recep Tayyip Erdogan seeks support from nationalist voters ahead of this month’s elections." The PKK? Aaron Hess (INTERNATIONAL SOCIALIST REVIEW) described the PKK in 2008, "The PKK emerged in 1984 as a major force in response to Turkey's oppression of its Kurdish population. Since the late 1970s, Turkey has waged a relentless war of attrition that has killed tens of thousands of Kurds and driven millions from their homes. The Kurds are the world's largest stateless population -- whose main population concentration straddles Turkey, Iraq, Iran, and Syria -- and have been the victims of imperialist wars and manipulation since the colonial period. While Turkey has granted limited rights to the Kurds in recent years in order to accommodate the European Union, which it seeks to join, even these are now at risk." The battles between the Turkish government and the PKK show no end in sight. This latest effort may slow down a bit after the elections which are scheduled to be held June 24th. The euphoria surrounding Iraq’s May 12 parliamentary elections has died out recently amid eruptions of violence and allegations of widespread fraud. explosions hit Baghdad’s Sadr City, and a depot for ballot boxes was set ablaze on June 10. In Iraq, elections took place May 12th. So you might think they were settled -- unless you knew the cry baby politicians who never accept results they dislike. Despite not having the power to declare recounts, the Parliament did that last week. On Sunday, one of the warehouses storing the ballots was a target of arson. 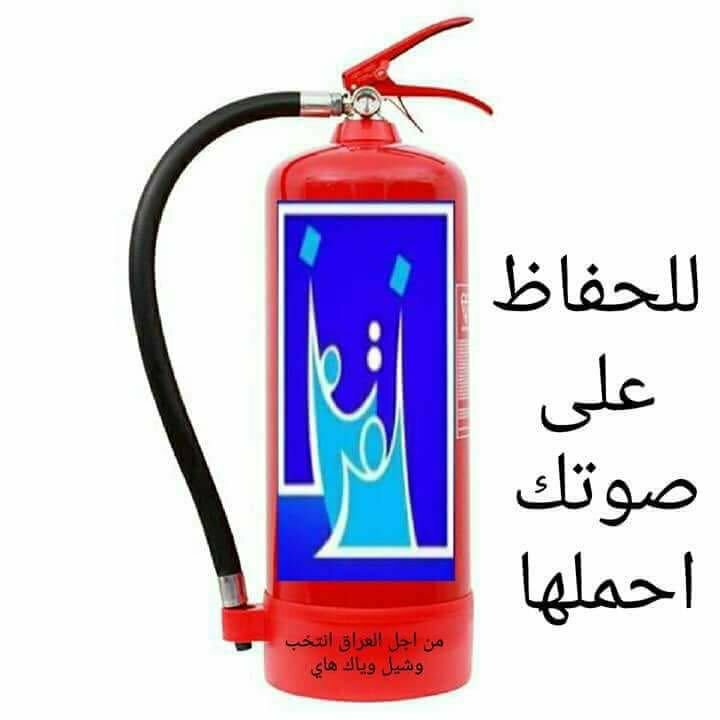 So, if the four are the arsonists, that would lead back to the Ministry of the Interior. The Ministry is headed by Shi'ite Qasim al-Araji whose Bard organization is headed by Hadi al-Amiri. al-Amiri is the leader of the militias. They came in second to Moqtada al-Sadr's bloc in the election. If you wanted to come in first after the election took place, on way would be to destroy the ballots and the ballots destroyed were Baghdad ballots -- where a large number of Moqtada's votes came from. Mike shared last night that he suspected Hayder al-Abadi of being behind the fire. If so, it's not the first time Hayder would have teamed up with Haid. The militias had been outlawed, after all. But it was Hayder who made them part of the Iraqi military. Elaine noted Hoshyar Zebari's Tweet laying responsibility for protecting the ballots at Hayder's door step and Elaine agreed with this conclusion and the fact that Hayder had failed. Hayder did fail, yet again. Hoshyar is a Kurd who was the Minister of Foreign Affairs and very close to the US government -- especially to then-Secretary of State Hillary Clinton. Meanwhile, Betty notes all the billions of US tax dollars sent to Iraq and yet the US media has little to no interest in the topic of Iraq. There were no reported strikes conducted in Iraq on June 10. On June 9 near Mosul, coalition military forces conducted a strike consisting of an engagement against ISIS targets, destroying five ISIS tunnels. There were no reported strikes conducted in Iraq on June 3-8. On June 2 near Tal Afar, coalition military forces conducted a strike consisting of an engagement against ISIS targets, destroying an ISIS-held building, an ISIS bunker and an ISIS supply cache. There were no reported strikes conducted in Iraq on June 1. Forever thug and former prime minister Nouri al-Maliki didn't like the election results. He did very poorly (which was no surprise). He's Tweeted the following in the last 24 hours. He insists that the results have been proven false (they have not) and that he will not accept them. For those who've forgotten, Nouri's persecution of Sunnis was the reason for the rise of ISIS in Iraq. When he was forced out of office (by then-US President Barack Obama), ISIS had seized Mosul and several other areas of Iraq -- a source of shame for any leader. Nouri was revealed as weak. His base has shrunk ever since. Nouri and Hayder are valid suspects. They or their people could have set fire to the warehouse because both did poorly in the elections and the formation of the new government was moving forward without them. Editorial: Who started the fire? Can you help promote this statement on Assange?